Avon, introduces their new makeup brand ‘Mark’ for makeup junkies. ‘Mark’ by Avon gives you the freedom to express yourself creatively and gives you the power to make an impact on the world. Saiyami Kher of ‘Mirzya’ fame has been introduced as the face of the brand in India. 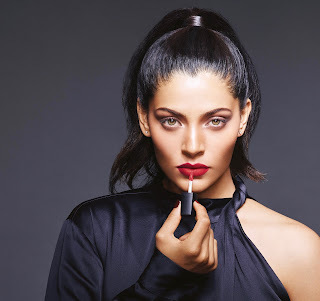 Commenting on the association with AVON Bollywood actress Saiyami Kher said ‘’ I was delighted when Avon approached me to be the face of their brand.Being an actor, playing dress up is something I do on a daily basis. So using the right make up and skin care products is important. Avon by Mark has launched its latest range of gorgeous shades and products perfect for all skin types which doesn't just look fabulous on screen but also helps me take care of my skin. I couldn't be happier to be associated with Avon and hope for a long, fruitful relationship to create something special for you".